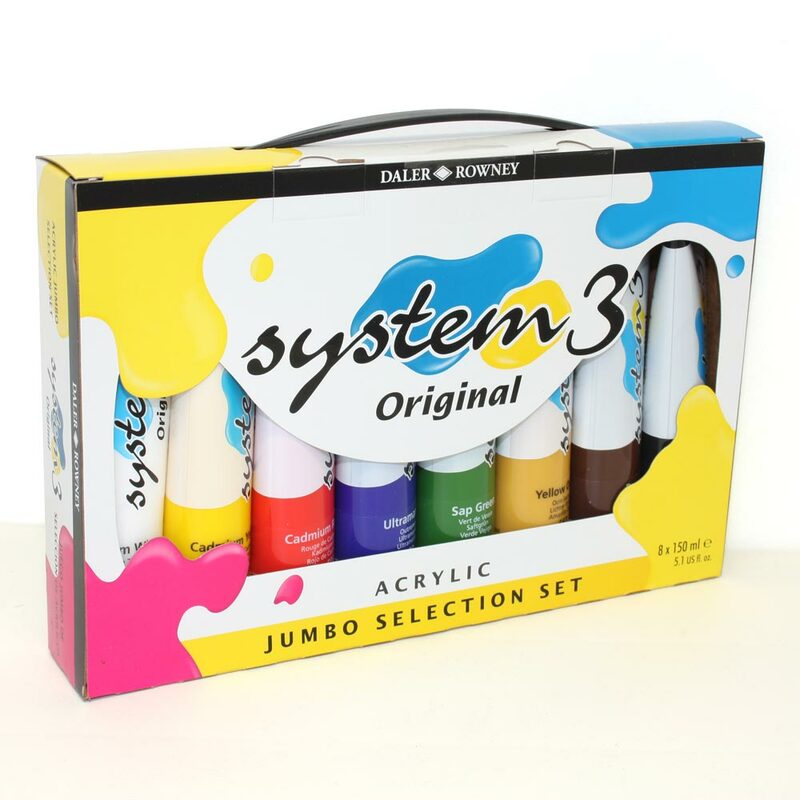 System 3 Original is a high quality, flow formula, water-based acrylic coloured paint which offers an excellent painting experience at an economical price. It is a comprehensive range which offers excellent light-fastness, permanence, durability and covering power. All colours can be thinned with water to create pale washes or used directly from the tube. In either form the colour dries quickly to create an insoluble film. The quick drying properties of the range enable the artist to work quickly, placing colours over each other or side by side without any problem. Acrylic mediums can also be added to extend the creative possibilities, including screen painting. System 3 Original has a medium body consistency. It is designed to offer the perfect compromise between firmer, more controlled applications of colour and the need to cover large areas swiftly and evenly. Set contains 8 x 150ml tubes of System 3 Original Acrylic paint.